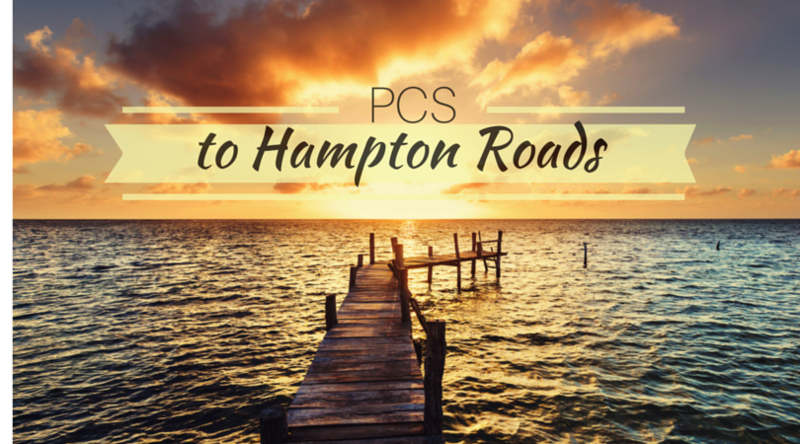 When researching the most efficient way to master a PCS move to the Hampton Roads area of Virginia, I was surprised to see how many locations were available for military families living and working in the area. I was also unaware as to how much preparation and understanding would be involved with making a move there. Consulting a PCS guide such as the one found at Military Town Advisor, (MTA) is crucial in the effort to make your transition a positive experience. For instance, did you know that nine cities compose the Hampton Roads area? Or that the area is becoming more known as the Coastal Virginia Area? Chesapeake, Norfolk, Portsmouth, Suffolk, and Virginia Beach are considered the south side of Hampton Roads while Hampton, Newport News, Poquoson, and Williamsburg are located on the Peninsula. After familiarizing yourself with the cities in relationship to your new duty station, a quick search of Virginia homes on MilitaryByOwner will turn up houses for sale as well as rentals on the market. Previously, I considered this area a military town, not a beachside resort, but housing prices reflect those seaside sentiments in some locations. As usual, the further from the coast you reside, you can expect to encounter larger homes at lower prices, but the commute will probably be longer into work. A middle ground possibility may include a (relatively speaking) reasonably priced home that is less updated, but districted for a sought after school or situated in an exceptional location. Military housing is limited, so it makes sense to thoroughly consider off-base options for which will be the best fit for your family. The following are very brief descriptions of some of the most popular cities of the Hampton Roads area. Colonial charm dominates this area’s style of homes, although the city’s downtown area also provides the modern aesthetics and industry. Granby Street offers shopping, including MacArthur Mall, as well as dining and evening activities for the diverse population that enjoys the area. This includes college students from nearby Old Dominion University. Neighborhoods in Norfolk: Larchmont, Ghent, East Beach, Colonial Place, Lafayette Shores, Riverpoint, Talbot Park, as well as many new condos and apartments near Granby and 21st Street. It is the most densely populated city in Virginia; however, its boundaries are large and cover many miles. These areas are the most popular to consider if moving to this region: Oceanfront Area, Chesapeake Bay Area near Little Creek, Town Center Area, NAS Oceana Area, Courthouse/Amphitheater, Indian River, South Holland Road, and Kempsville Area. See my Virginia Beach specific post for a more in-depth description of the area and military homes for rent. Chesapeake is divided into four separate and unique areas. The Greenbrier Area provides many mainstream shopping conveniences and is centrally located to all military bases, but research schools if needed, as they vary. Deep Creek is known for its larger homes and above average schools, but the commute is extended as it is further from bases. Great Bridge has a strong community feel with the luxury of its amenities contained within. Schools are considered excellent, but the drive into work is a lengthier one. Western Branch’s planned neighborhoods are a draw for those seeking an easier commute to Portsmouth, Newport News, or the west side of Norfolk. The city has a few sections of up and coming neighborhoods convenient to Portsmouth Naval Hospital in the downtown area. Families typically do not reside here, as there are better options for public schools. Desirable North Suffolk, and in particular, the Harbour View area, is a planned community with new construction and larger price tags. Older homes here are located on larger lots of land. Other parts of Suffolk are transitioning and should be studied carefully. Neighborhoods near North Suffolk: Harbour View Riverview, Kempton Park, Steeplechase, Burbage Grant, Bayberry Cove, Bennetts Creek, Cedar Point, City of Driver, Governors Point, Suffolk Meadows. Carrollton boasts an easier commute, as no tunnel travel is involved for those driving to burgeoning Hampton and Newport News, however the trip across the James River Bridge is in store. Neighborhoods: Woodbridge and Eagle Harbor. Further north, beyond Norfolk Naval Station, lies the area known as North Hampton Roads. Popular cities that fill this geographical area include Hampton, Newport News, and Yorktown. The military presence is Joint Base Langley-Eustis. Although the base is considered joint, it does not share common boundaries, as they are geographically separated by 17 miles. Hampton has been undergoing a transformation within recent years, and it is boasting new economic development in the form of the Peninsula Town Center. The center provides shopping, eateries, and mixed living spaces such as apartments and condominiums. MTA reviewers recommend the Fox Hill-Grandview areas for established single family homes. Langley Air Force base is nearby, and residents and tourists alike enjoy the free air show performed yearly. Situated on the James River, Newport News is fully engaged in all things maritime. Industries that dominate the area include the military and shipping corporations. The Northrop Grumman Shipyard employs over 20,000. Fort Eustis is a very easy commute to the city within 10 to 15 minutes. Newport News can be challenging when seeking comfortable neighborhoods and schools, but military members have reviewed and enjoyed the Carriage Hills and Courtney Trace neighborhoods. Yorktown, near the historic Yorktown Battlefield, offers a rural feel for those who want a little more space. The landscape is dotted with farmland and wooded homesteads. A small town atmosphere is what has attracted young families to the area for nearly a decade. Residents tout a strong school system and friendly neighborhoods. Nearby, Yorktown Beach supplies commercial outlets for shopping and dining. The family friendly waterfront hosts live music and farmers markets on the weekends. Military families stationed at Langley Air Force base often find homes here. New to me was the significance of the routine use of a four tunnel system and the traffic hardships people endure in the area. The best option seems to be to avoid them all together and see if the commute without using the tunnels is feasible for your drive into work. This map from Military Town Advisor will make clear your best routes and detail traffic congestion sites and times. With the tunnels comes tariffs, and daily commutes add to the budget that has to be considered when choosing your new home. Specifically, the City of Portsmouth earns money from the use of the Downtown and Midtown Tunnels connecting Portsmouth and Norfolk. Here you can expect to either purchase an EZ Pass or receive an electronic bill at your house. However, the only other tunnel option that requires a toll is the privately owned Chesapeake Bay Bridge which connects Virginia Beach to the Eastern Shore. Always one of the main points for consideration when planning your next military move is the access to health care from either military or civilian sources. In Hampton Roads, it seems that families suffer from the same problems most large military centers deal with. This means a saturation of active duty, retired, and reservist patients that leave long waits for appointments for dependent family members. It's been suggested that investigating Tricare Standard and seeing doctors in the community is a way to alleviate wait times. Additionally, we all know that many doctors’ offices do not like to accept Tricare Prime because of the low reimbursement rates, which also points to using Standard instead. Because Hampton Roads is made up of so many cities and geographic areas, it's easy to find things for your family to spend time doing together, starting with the always popular Busch Gardens and their Waves of Honor Program which offers free tickets to military families. Highlights there include Sesame Street Forest of Fun, Octoberfest, and seasonal celebrations such as Christmas Town. The Children’s Museum of Virginia in Portsmouth is another must see, as are the Zoo in Norfolk and Virginia Aquarium & Marine Science Center in Virginia Beach. Don’t forget the miles and miles of beach and bay shore activities found in many of these cities. Make sure to read the thorough housing and neighborhood reviews at MTA and take a moment to contribute to the notes for your current or past duty stations. By taking a few minutes to detail your experience, they may help other military families make those tough decisions for their next PCS. I certainly am glad I consulted the reviews and guides for our area as they both allowed me to understand our current neighborhood and helped us make a great decision!